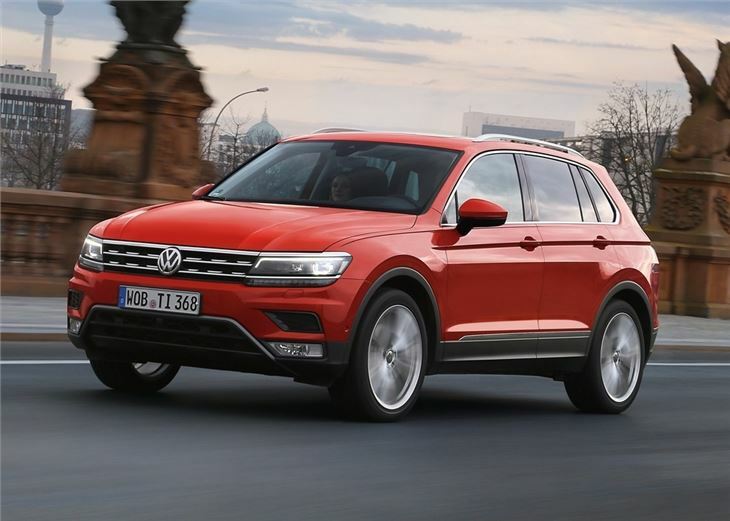 The Volkswagen Tiguan has always played it straight as a comfortable and practical SUV. As a result it has become a popular choice with family car buyers, who value low running costs and everyday usability over the design-led styling and performance of crossovers. Now that might sound a bit boring, but the Steady Eddie approach has worked rather well for Volkswagen. 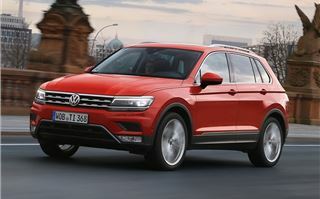 Since launching the Tiguan in 2007, the safe and sensible SUV has clocked up 2.8 million sales and established itself as the third best-selling vehicle in the Volkswagen line-up. Only the Golf and Polo sell more. 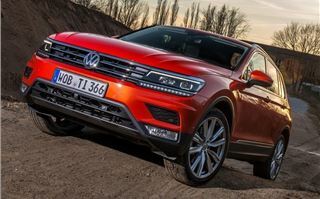 Hardly surprising, perhaps, that Volkswagen has waited almost a decade before replacing it with this, the second-generation Tiguan. 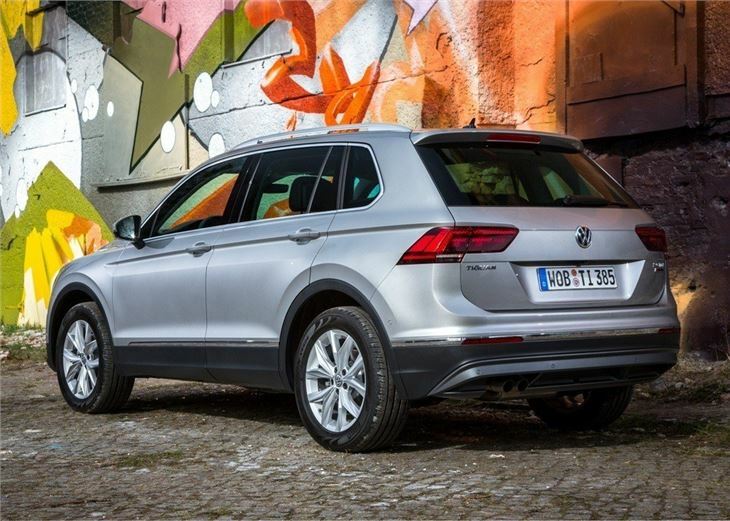 Smartly styled but unmistakably Tiguan, the new model follows the same ethos as its predecessor, with the emphasis firmly on comfort, practicality and space. 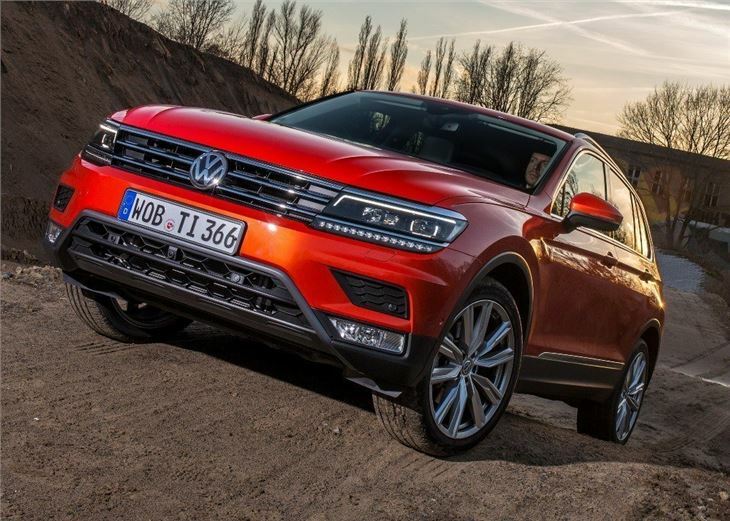 Admittedly, it looks similar to the outgoing Tiguan, but there are some important changes under the metal, with a new lighter platform that utilises increased strength to improve handling. There's also a noticeable spurt in size, with the body growing 3cm in width and 6cm in length. 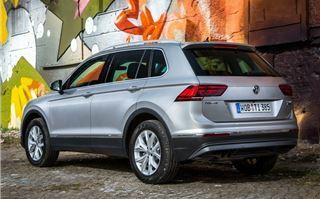 Ninety-five per cent of all Tiguans sold in the UK are diesel and three-quarters of those are specified with four-wheel drive. 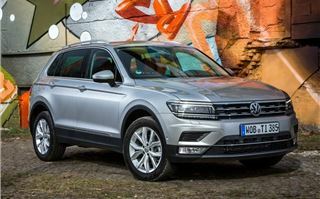 The model tested here - the 2.0-TDI with 150PS - is expected to be the best-seller in the range and on paper it looks impressive, with claimed economy sitting at 58.9mpg for two-wheel drive models and 50.4mpg for all-wheel drive. Both will tow a braked 2500kg, while emitting 125-146g/km of CO2. 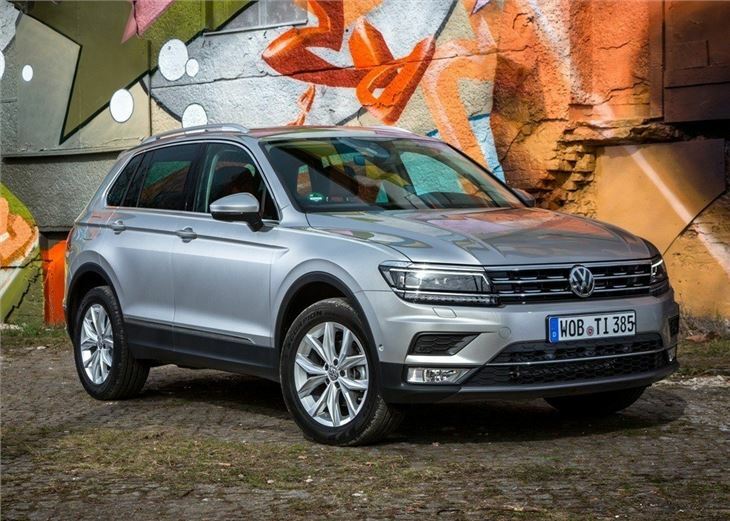 The Tiguan gets more interior space too, with its longer wheelbase and wider frame providing a maximum of 1655 litres - an increase in 145 litres over the old model. 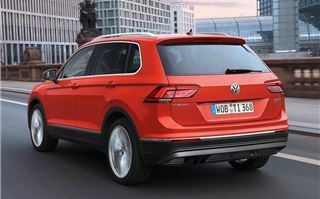 At the rear, the opening to the boot has been enlarged and the load floor lowered, making it easier to get heavy items in and out. 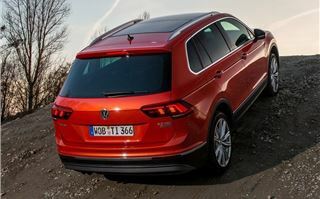 The boot offers 615 litres with the rear seats slid forwards, making it round 200 litres more than the Renault Kadjar and 26 litres more than a Honda CR-V.
On the road the four-cylinder diesel works well enough, with its 340Nm of torque providing plenty of pull through all of the gears. The diesel engine can be a bit vocal - we noted some diesel clatter making its way into the cabin under moderate acceleration - but for the most part it whirrs away in a sedated hum. A six-speed manual gearbox is standard and a seven-speed DSG is available as an option. Both work fluently with smooth changes and good anticipation for the up and down change. 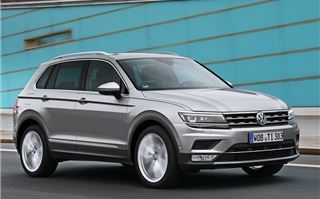 Like its predecessor, the Tiguan is refined on and off the motorway, with a well-judged ride that resists pitching in the corners or crashing over bumps in the road. The steering is nicely-weighted too, with a firm turn that gives plenty of feedback in relation to the front-wheels. 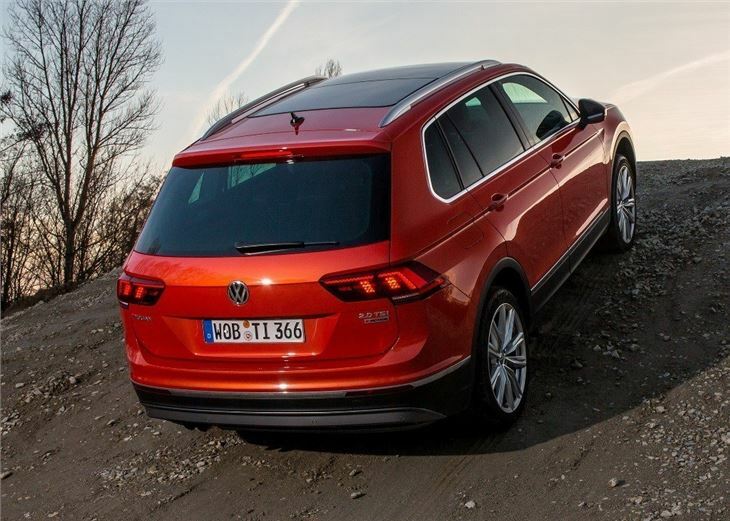 Admittedly, the steering feels a little bit light over 50mph, but we doubt many Tiguan buyers will be seeking its high speed cornering limits. 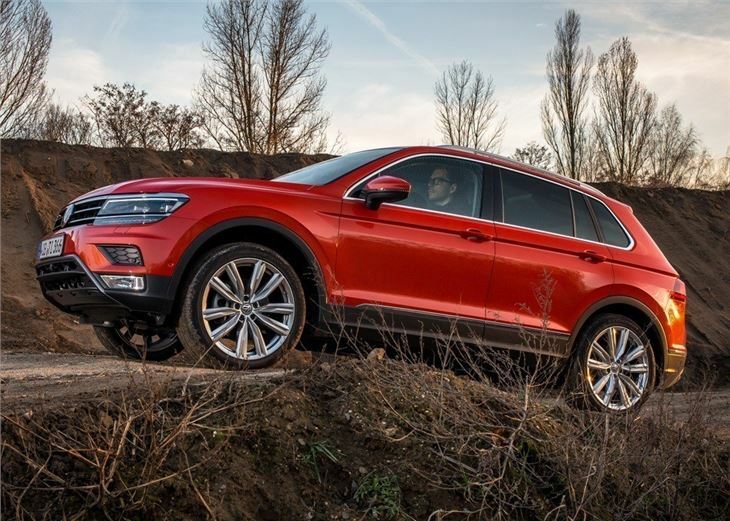 If you plan to take the Tiguan off-road - or live in a hilly, rural location - the four-wheel drive model will make the most sense. 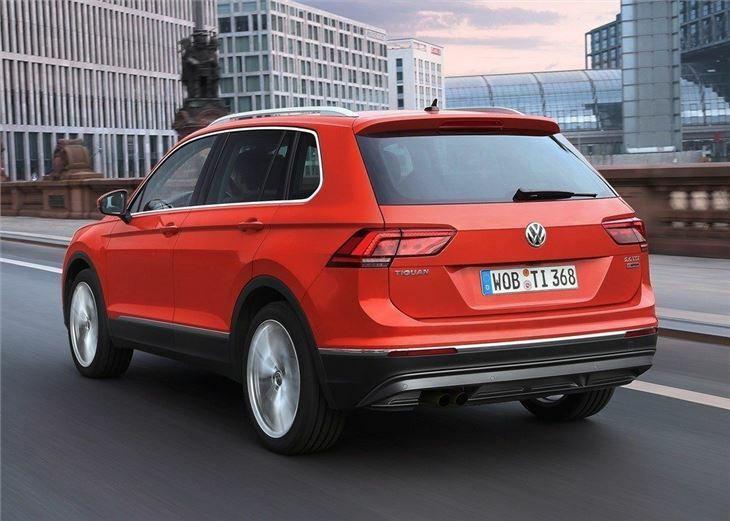 In addition to 4Motion all-wheel drive, the Tiguan gets selectable driving modes that will tailor the traction control system and stability control to cope with everything from icy roads to muddy rutted tracks. 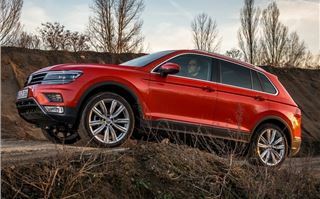 An optional Out Door pack will bolster the Tiguan's all-road credentials further, with underbody protection and plastic cladding for the wheel arches and bumpers. 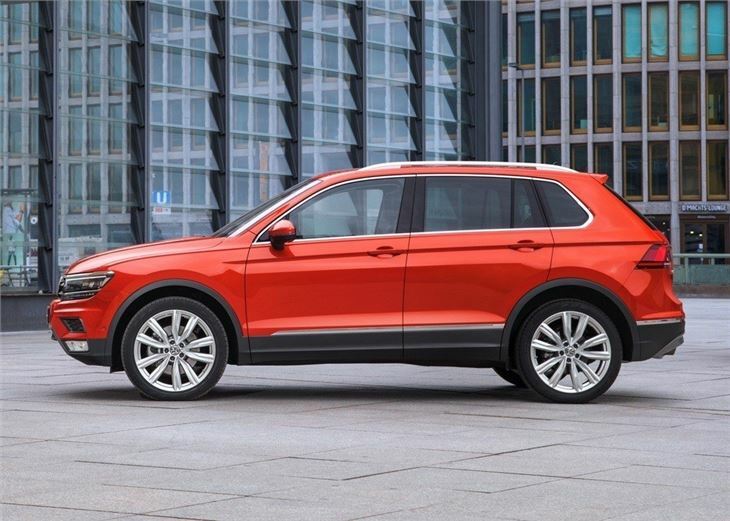 As with the old Tiguan, the cabin is large and comfortable, benefitting from the new larger platform. There's plenty of head and legroom for adults to stretch out and the rear bench can be slid backwards to accommodate six footers. On the downside, the dashboard is a bit dull, albeit simple to use. 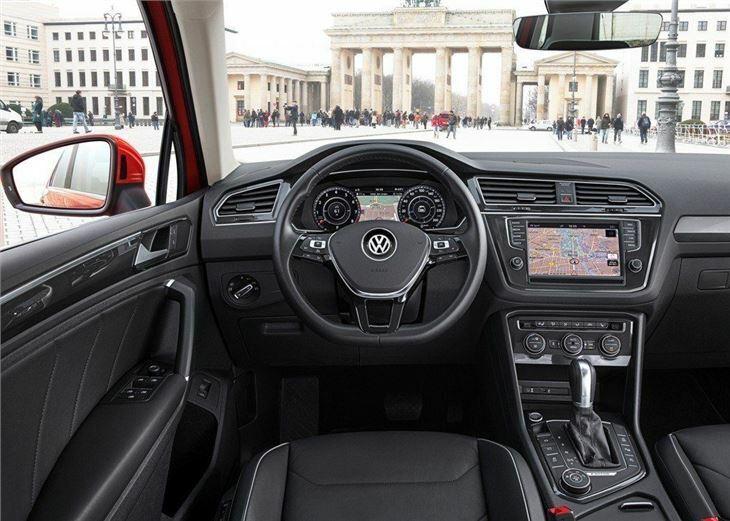 All models get a large eight-inch colour touchscreen with DAB, Bluetooth and CD player. Navigation is also available, along with a head-up display. 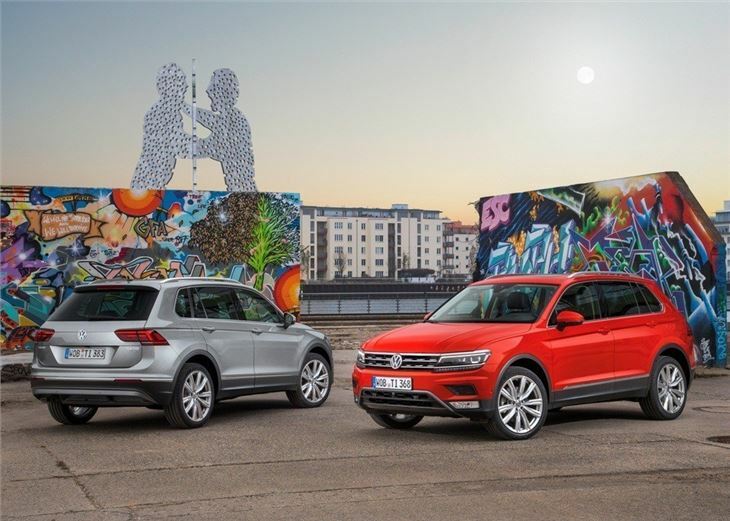 Comfortable, spacious and supremely practical, you might think the Volkswagen Tiguan is a simple recommendation; however, there is a price to pay. Namely £25,530. 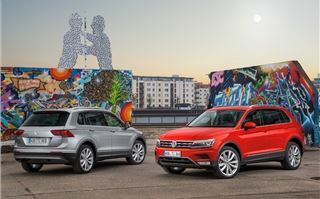 And it's here that the Tiguan loses some of its appeal, because that price tag puts it at around £2300 more than the dCi 130 Renault Kadjar and almost £1700 more than the 1.6-litre i-DTEC 120PS Honda CR-V. The gulf in prices increases when you look at four-wheel drive models. 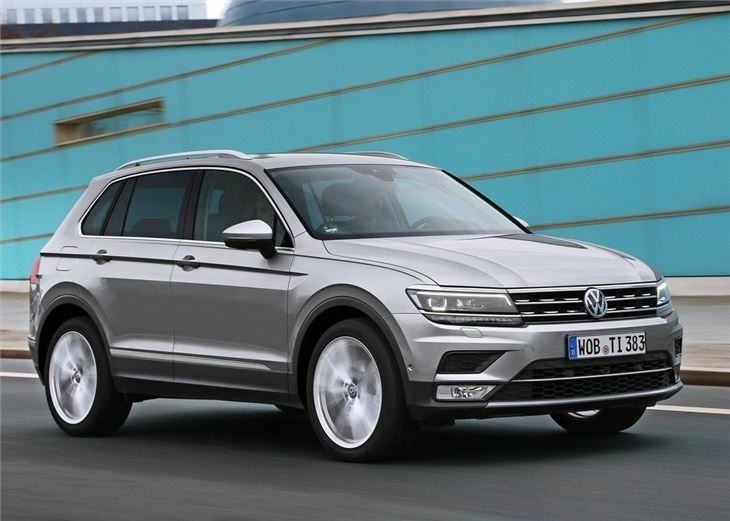 That's not to say the Tiguan is a poor SUV - it isn't. The second-gen model is refined, cavernous inside and well set-up for family life. 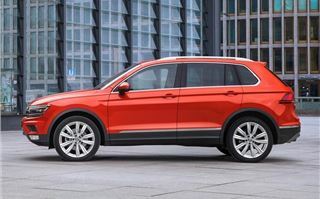 However, at this price, we'd expect something exceptional to justify the price premium in price and it is here the Tiguan falls short.